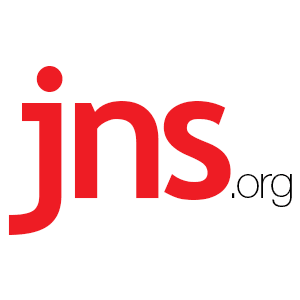 Corey Booker: Democratic Presidential Candidate With Mixed Record on Israel - Breaking Israel News | Latest News. Biblical Perspective. Democratic New Jersey Sen. Cory Booker announced on Friday that he is entering the 2020 presidential race. Since being elected to the Senate in 2012 after serving as mayor of Newark, his record on Israel has been mixed at best, and sometimes going back and forth on certain issues. In 2016, Booker, 49, who represents a state with more than half a millionJews, labeled BDS as an “anti-Jewish movement” and last year co-sponsored the Israel Anti-Boycott Act that would prohibit American businesses from boycotting the Jewish state. “We’ve seen the alarming rise in anti-Semitism in the United States and across the world in recent years manifest itself in many deeply concerning ways, including in the actions of foreign governments targeting Israel and the Israeli people,” he said. However, on Tuesday he voted against the Strengthening America’s Security in the Middle East Act—legislation that is a combination of four bills, including one that would enable state and local governments in the United States to fight BDS. He also posed last August with a sign from a pro-BDS group that read “From Palestine to Mexico. All the walls have got to go,” a motto coined by the U.S. Campaign for Palestinian Rights. In a statement to JNS at the time, Booker’s communication’s director, Jeff Giertz, said the senator didn’t realize the sign related to Israel when the picture was taken. “He hopes for a day when there will be no need for security barriers in the State of Israel, but while active terrorist organizations threaten the safety of the people living in Israel, security barriers are unfortunate but necessary to protect human lives,” added Giertz. Boteach, who has known Booker since their time at Oxford University, reacted critically to Booker’s presidential campaign announcement: “My friend @corybooker announces for @Potus but will lose unless he repudiates utterly his support for #Iran & reverses his eroding support for #Israel as this betrays American values, shows weakness in foreign policy, proves he puts politics before principle, and abandons friends,” he tweeted. “Since our time together at #Oxford where Cory served as my student president I believed he could be president & we remained close like brothers. But since embracing #Iran deal & gradual abandonment of Israel his prospects have eroded. He must show he stands friends & convictions,” added Boteach. Since our time together at #Oxford where Cory served as my student president I believed he could be president & we remained close like brothers. But since embracing #Iran deal & gradual abandonment of Israel his prospects have eroded. He must show he stands friends & convictions. Nonetheless, Booker has expressed concerns ranging from Iran testing ballistic missiles to the U.S. Treasury Department suspending countermeasures against Iran’s financial sponsorship of terrorism to the International Atomic Energy Agency’s reports on the regime complyingwith the nuclear agreement. Along with the rest of his party, Booker also opposed the nomination of David Friedman in March 2017 to be U.S. ambassador to Israel: “I am deeply concerned that confirming David Friedman to serve as ambassador to Israel would damage the prospects of finding a two-state solution between the Israelis and Palestinians, the only path to a lasting peace that would bring true security and Middle East stability,” he said. Moreover, Booker was against the United States officially recognizing Jerusalem as Israel’s capital in December 2017, in addition to relocating its embassy there last May from Tel Aviv. Yet he was a co-sponsor of a Senate resolution to rebuke U.N. Security Council Resolution 2334. In April 2017, Booker signed onto a letter to U.N. Secretary General António Guterres, calling for the end of the world body’s animosity towards the Jewish state. Rising from serving in local government and Congress to running for the White House, Booker’s stances related to the U.S.-Israel relationship have shifted in an apparent attempt to appeal to all factions on the left and in the Democratic Party. According to the latest POLITICO/Morning Consult poll, Booker is only at 3 percent. Whether he will backtrack on his stances to appeal to Boteach and those similar to him remains to be seen.